DAVID LE/Staff photo. 2/26/15. 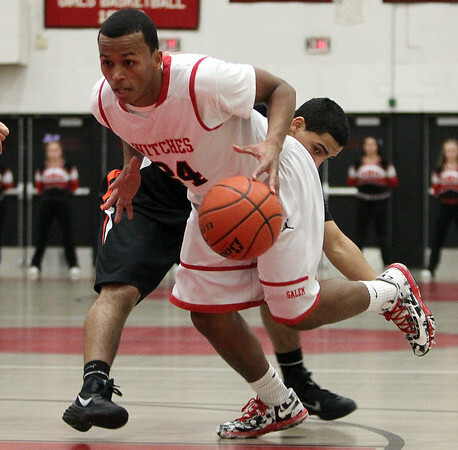 Salem junior guard Kelven Perpetuo (24) drives to the hoop after blowing past Woburn junior Daniel Moscat, behind, during the first half of play.